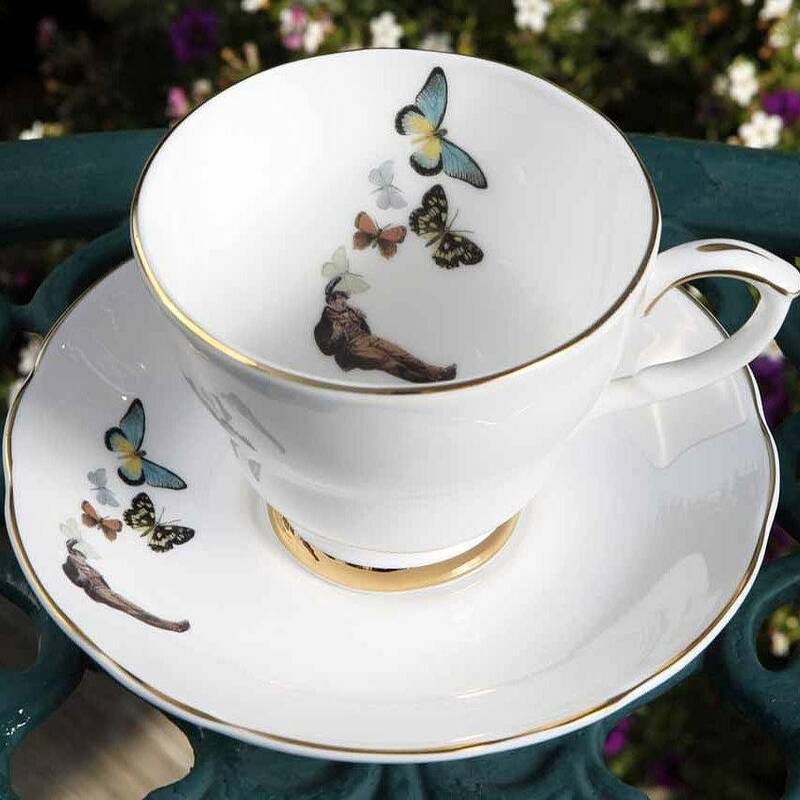 These teacups and saucers create a calm and gentle atmosphere when ever used, transporting you to a magical garden party filled with fanciful characters. 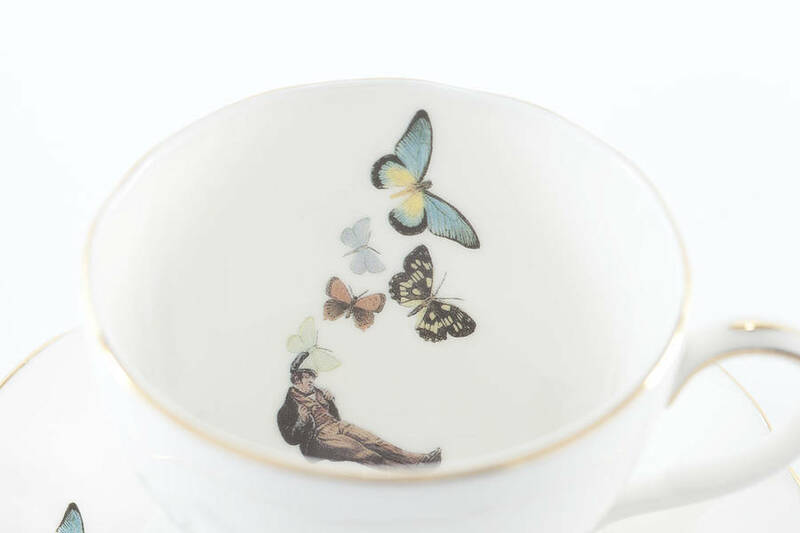 An attractive tea cup and saucer for everyday use. Ali Miller has made her name through intricate and detailed collage. The images are wistful and whimsical. Part of the Ali Miller range, using original images taken from her childhood home. 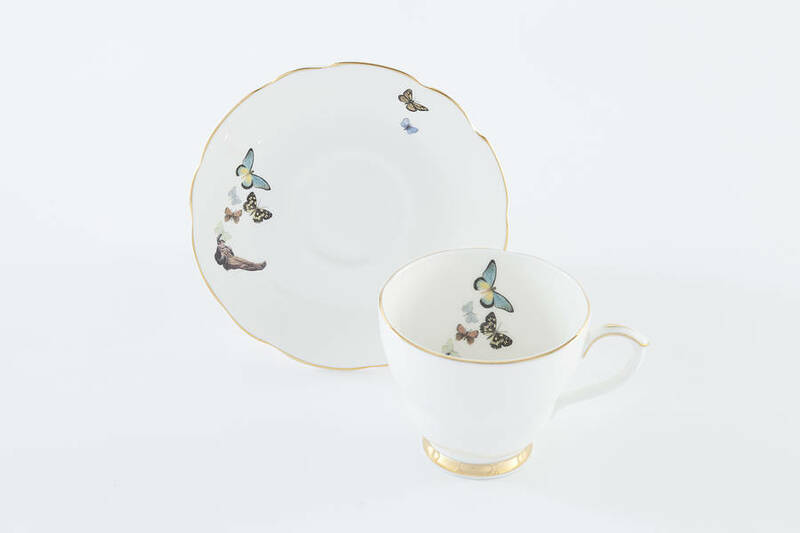 Complete the set with a matching cake plate and teapot also available in this range. 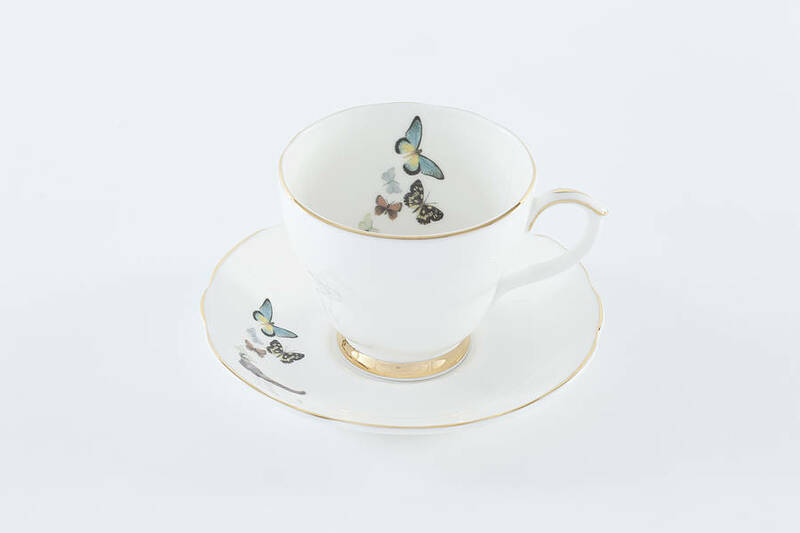 Alternatively, why not mix and match from any one of Ali Miller’s exquisite designs? An ideal Christmas, Dinner party, Birthday, Engagement, Wedding or Valentine gift or perhaps just for yourself! Dimensions of Tea cup approximately: 8.5cm at widest point and 11.5cm with handle by 7.5cm height. Dimensions saucer approximately: 14.5cm in diameter. We would recommend that these pieces be hand washed. Designed and applied in the UK. This product is dispatched to you by Ali Miller London.